Michele Poole is the Public Information Manager for the Queenstown Lakes District Council’s emergency management unit, based in Queenstown, New Zealand. Her experience in emergencies began as a journalist in 1984, reporting on major flooding in Invercargill City. She moved into public sector communications in 1990 and has been involved in emergency Public Information Management ever since, first on behalf of individual councils and latterly as the Group Public information Manager for Emergency Management Southland. Her experience has spanned snowstorms, earthquakes, tsunami alerts, storms, pandemic influenza, oil spills, rural fires and countless floods. 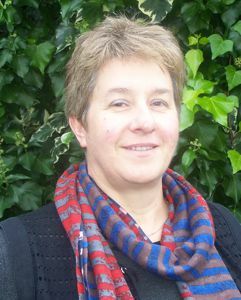 After major earthquakes struck Christchurch in September 2010 and February 2011 she was seconded to Civil Defence in Canterbury and in the 2011 response led the development of the Public Information Management structure for National Controller John Hamilton. Michele is also a member of Maritime New Zealand’s National Oil Spill Response Team. In her day job, Michele is the Senior Communications Advisor for the Queenstown Lakes District Council.